Coverage is determined by your needs and the benefits you are interested in adding to your policy. There are basic policies and major medical health insurance coverage. All policies cover catastrophic accidents and illness. Basic medical policies are the most economical, but offer the least amount of coverage. Preventive services are included as well as a prescription drug card, and there is no lifetime maximum. You also have the ability to choose your own doctors. The basic medical plan that qualifies for a health savings account offers the same coverage as the basic medical plan listed above, but with the benefit of a tax advantage. The comprehensive plan that qualifies for a health savings account offers the same coverage as the basic plan as well as the tax benefit, but also offers a family deductible. The comprehensive major medical health insurance policy is the most expensive, but offers the most coverage. It provides preventive services, no lifetime maximum, ability to choose your own doctors, and first dollar benefits. First dollar benefits mean that all x-rays and laboratory tests are done without co-pay and are covered 100%. American Republic Insurance Company offers a Medicare supplement to individuals over 65. It pays for expenses that Medicare approves but does not cover. You can choose your own doctors and hospitals without the necessity of a referral. Claims are easy to file and policy discounts are given to those in good health or for being in a relationship. For more information, call (866) 319-5213. American Republic Insurance Company provides a lab card through Quest Diagnostics. The card permits you to use Quest as a laboratory provider which provides you with discounted lab work. Additional information on the lab card can be obtained by visiting www.LabCardSelect.com or calling (800) 750-1253. American Republic Insurance Company has partnered with HealthHelp to provide consultation services for diagnostic imaging. The program ensures that the correct test is ordered for your symptoms or needs. The program is for all outpatient diagnostic imaging. In an effort to save you money, American Republic Insurance Company has contracted with Express Scripts, Inc. Express Scripts, Inc. has over 50,000 pharmacies within its network. All claims are filed electronically when using an Express Script contracted pharmacy, and out of pocket expenses are considerably lower than if the policyholder visits a non-Express Script pharmacy. American Republic Insurance provides important pharmaceutical information online. For example, you can find participating pharmacies and view your prescription benefits. If you are interested in receiving a quote from American Republic Insurance Company, call (866) 319-5213 or locate an agent on the website by clicking on the find an agent tool. You can also request a quote by clicking on the get a quote tool. American Republic Insurance agents are all independent agents. If you already have American Republic Insurance, call for a benefits review to see if you should make any changes to your policy, call (800) 247-2190. American Republic Insurance provides an option to report fraud anonymously either online or by calling the hotline at (800) 678-6685. They have a special investigation unit to pursue any fraudulent tips. Preventing fraud is important, because it will end up saving policyholders money if it can be prevented. If you are interested in a career with American Republic Insurance Company, call the Agency Support Center at (800) 255-6625. You can also look up careers on the website which will take you to American Enterprise Group, the parent company of American Republic. Here you can view job openings and apply online. American Republic Insurance Company provides benefits to its policyholders which make everyday maintenance and questions easy to manage. For instance, you can go online to pull up necessary forms like address changes, ID cards, or make payments. The website also provides you with the ability to look for doctors or hospitals that are considered to be preferred providers. Questions and information related to pre-authorizations can be located on the website. Pre-authorizations are often necessary for surgeries, home health care, hospitalizations, home infusion therapy, hospice care, physical, occupational, and speech therapy. Certain medications also require pre-authorizations. Pre-authorization’s keep your medical benefits down by reducing out of pocket expenses. The site also provides answers to frequently asked questions like, “How do I preauthorize” or “What is a medical necessity” and other related questions. 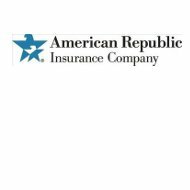 American Republic Insurance Company maintains an A- rating with A.M. Best. To compare health insurance rates with providers in your area, please enter your zip code in the box to begin your search.